In the heart of Minneapolis, a closed 20-acre cemetery serves as the resting place of many African American pioneers who helped shape the early beginnings of Minneapolis. Founded in 1853, Pioneers and Soldiers Memorial Cemetery, located at 2945 Cedar Avenue South, is also the oldest existing cemetery in the city. While it only counts 1,800 tombstones, the cemetery holds the remains of more than 20,000 people. The cemetery is currently run by a committee of volunteers, known as Friends of the Cemetery (FOTC), who are working to uncover the history buried six feet underground. 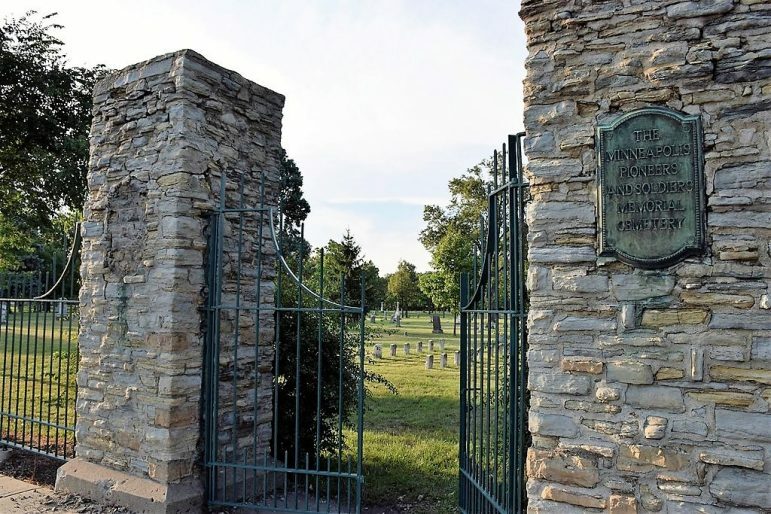 Susan Hunter Weir, a member of FOTC, said Pioneers and Soldiers Memorial Cemetery has collected the remains of six wars, including the War of 1812, the Dakota Conflict, the Civil War, the Mexican American War, the Spanish-American War, and World War I. “Nine African American soldiers have been discovered who served in the United States Colored Troops (USCT),” said Hunter Weir. Those buried include Private Solomon Hare (Co F 25th USCT), Private Woodford Anderson (Co D 17th USCT), Ruben Burley (Co C 25th USCT), Archie Ramsey (Co K 17th USCT), and Amos Watkins (Co G 17th USCT). In 1986, then-Minneapolis city council member Sharon Sayles Belton (who would go on to become the first Black mayor of Minneapolis in 1994) eulogized Private Oscar Vaughn (Co H 16th USCT) in a ceremony placing a headstone atop his grave. Private Vaughn lived on his farm in Fergus Falls, Minnesota, but due to failing health moved to Minneapolis to live with his daughter three years before he died. Hunter Weir said the FOTC hopes to honor three more African American soldiers’ graves with headstone placements, including Thomas Jefferson, Glenis Lee and Amos Yancy, next summer. 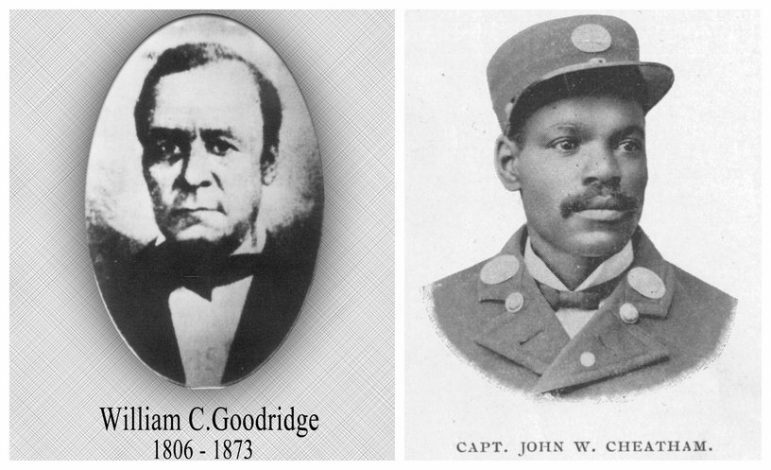 Among those identified is John W. Cheatham, “the first African American firefighter in Minneapolis, retired as a captain 1884,” according to Hunter Weir. Perhaps the most nationally known individual buried at Pioneers and Soldiers Cemetery is William C. Goodridge. Born a slave in 1806 in Maryland, he was freed by age 16 and started his first business — a barbershop — at 18 years old. Goodridge invested heavily in real estate and went on to own 13 railroad cars operating the Reliance Line, a freight shipping business. As its owner, he became involved in the historic Underground Railroad as early as 1851 during the Christiana Riots in Christiana, Pennsylvania. Goodridge’s railroad cars helped smuggle fugitive slaves across Pennsylvania during their first leg of escape to Canada. In 1865, with his home under constant surveillance and threats by pro-slavery militants to kidnap him into the South, Goodridge moved to Minnesota to live with his daughter and son-in-law. By the time he left York for Minnesota he was one of the city’s wealthiest citizens. Today, his former family home is now the site of the William C. Goodridge Freedom Center and Underground Railroad Museum. Goodridge’s grandson, Toussaint L’Ouverture Grey, named after the liberator of Haiti, was the first African American child born in St. Anthony, Minnesota in 1859. Hunter Weir said the FOTC is now working to start an African American tour of the graves in Pioneers and Soldiers Memorial Cemetery. For more information, visit friendsofthecemetery.org. Jonika Stowes is a contributing writer at the Minnesota Spokesman-Recorder. She can be reached at jstowes@spokesman-recorder.com.